They claim this is real and not a Photoshop job. 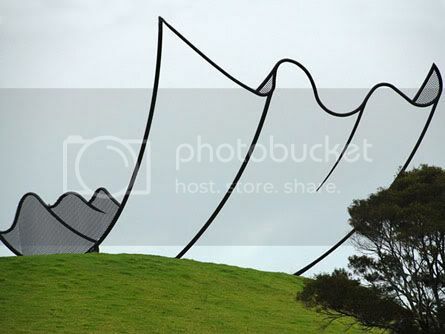 "Neil Dawson's Horizons, made of welded steel, is an imposing 15m high and 36m long and sits on Alan Gibbs' New Zealand property." Very cool.